Since 1994, UV99 has been leaving lasting impression on countless minds all across the U.S. with a dynamic, cutting edge show. 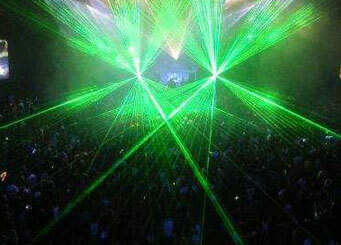 Our shows go beyond the industry standard for lasers at music and entertainment events. 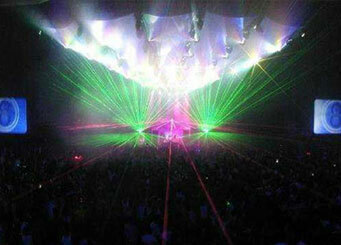 UV99 offers the best in artistic laser media. Special effects for movies, video, music and corporate events include but not limited to: tunnels, fans, fiber optic illumination, laser walls, ceilings, floors, aerial effects, liquid sky, water screens, simulated laser security networks and laaser weapons. UV99 offers the very best laser technology has to offer. We used the highest quality scanners to provide over 80 degree scanning angles. 360 degree scanning effects are also available upon special request. We employ state of the art air-cooled high power full color laser systems, as well as traditional high power water cooled laser systems. With multiple laser systems in stock the possibilities are endless. Single color, multi-color and full color systems are available. All these systems range in power from 5mw on up to over 50 watts. 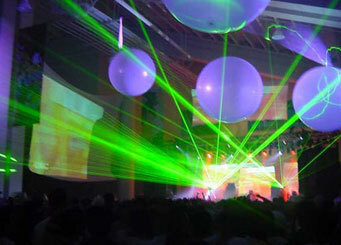 UV99 has the laser power to do any size venue whether it be indoors or out. UV99 specializes in creating unique 3-D images, custom logos and animation. We have a huge graphic library of over 25,000 images that can be put together to create that specific look just for you. Our transparent multi-layered three dimensional screen networks are what set us apart from the rest of the laser industry. UV99 pioneered large “scrim” networks in 1995. Scrim objects include pyramids, diamonds, hexagons, cubes, tubes inside of tubes (vertical and horizontal), flat plane networks and custom shapes upon request. UV99 can provide new and used laser components as well as custom built laser systems for purchase and installation. outdo ourselves show after show!